Since their debut vintage in 2001, we’ve been supporting Macauley Watson’s efforts and really enjoying both his Napa Valley Cabernet Sauvignons and Zinfandel. Macauley worked at Rudd Estate for a few years before venturing into his own wine adventure and since then, they have been producing this Old Vine Zinfandel that comes from both St. Helena and Rutherford. 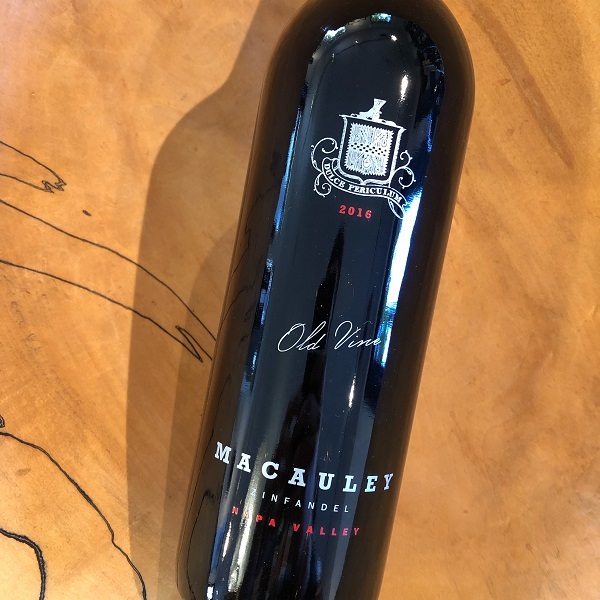 The 2016 Macauley ‘Old Vine’ Zinfandel features notes of raspberry, dried strawberries, a wisp of black pepper, and a recurring note of maple. It has an inviting layer of spice and hints of freshly baked cherry pie. This full-bodied Zin is a high-wire balancing act of weight and freshness. Winemaker Kirk Venge also included 8% Petite Sirah in this 900-case production.